There have been recent changes in the Sentence Rearrangement in the English Section. 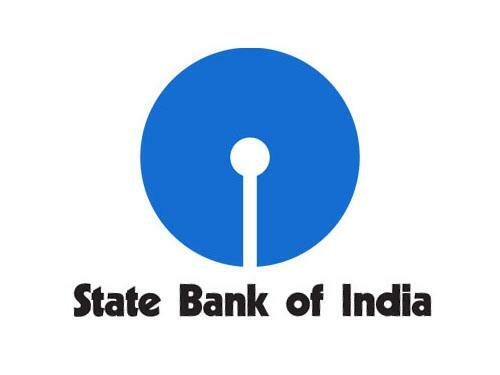 Even in this year SBI PO mains examination 2017, the sentence rearrangement has changed and in that pattern, the first and the last sentence would be fixed and aspirants have to find all the other sentences in the given jumbled passage. Even though this section is limited to little changes, who knows there can be changes even in this section in the forthcoming exams. We have to be updated for all the challenges which are yet to come in the forthcoming exams.These paragraphs are taken from the recent editorials from leading Dailies and Journals and this ranges from easy to moderate to difficult. So crack these questions to excel in the exams. (A) The Trump Administration, warning that North Korea is “begging for war,” is pressing China and other members of the United Nations Security Council to cut off all oil and other fuels to the country. (B) That test, which would be the nation’s third in a month, could be timed to mark the anniversary of the founding of North Korea by Kim Il-sung, the grandfather of the current leader. (C) It is far from clear thatChina’s president, Xi Jinping, would be willing to go along with the highly aggressive step of cutting off fuel to the North and roughly 90 percent of North Korea’s trade, and nearly all of its imported energy supplies, come from China. (D) The effort, which senior administration officials described as a last best chance to resolve the standoff with the North using sanctions rather than military means, came as South Korean officials said Monday that they had seen evidence that North Korea may be preparing another test, likely of an intercontinental ballistic missile. (E) It is unclear where the test might be aimed, but Pentagon officials said they were examining options in case it was meant to demonstrate that the North could put a missile, with accuracy, off the coast of Guam, an American territory. (F) The call for the fuel cutoff, which is expected to be part of a draft resolution that the United States is beginning to discuss privately with other members of the Security Council, came a day after North Korea’smost powerful nuclear test in the 11 years it has been detonating nuclear weapons. (G) China’s overall trade with the North was up significantly in the past 12 months, and it has long feared that an oil cutoff would lead to the collapse of the regime. Back then, the price of bitcoin was a more affordable $572 per token, according to CoinDesk— less than half the price of an ounce of gold. Still, Bitcoin has been a highly volatile currency, easily losing, or gaining, $200 over the course of a day. That means while it’s fun to gawk at Bitcoin’s huge gains — much like gawking at PowerBall jackpots— experts say Main Street investors should stay far away. Bitcoin’s sudden rise has drawn comparisons to other investments that shot sky high— only to come plunging down—like tech stocks in the late 1990s and real estate in the early 2000s. So, had an investor, in theory, decided to invest about $100 at that point, their stake would be worth about $850 today. Even now, analysts such as those from investment banking giant Goldman Sachs expect the crypto currency to fall sometime in the near future before rising once more. “It’s really, really not worth it for the ordinary consumer,” Matthew Elbeck, a professor of marketing at Troy University told MONEY earlier this year.